Approximately 700,000 American men receive a negative prostate biopsy result; however approximately 25% of these results are false-negative and that is the man has prostate cancer but the biopsy was not able to discover or confirm the disease. Under the current standard of care, prostate biopsy procedures sample less than 1% of a man’s prostate. This approach leaves men at risk of occult cancer, leading to a high rate of repeat biopsies. ConfirmMDx for Prostate Cancer addresses the unmet medical need for a clinically effective diagnostic test to address this dilemma. ConfirmMDx is a sophisticated test that detects subtle changes in the DNA level in cells adjacent to cancer cells. This halo around a cancer lesion can be present despite having a normal appearance under the microscope. The MDX aids in the identification of high-risk men who may need a repeat biopsy and potential treatment. Bottom Line: Prostate cancer is the most common cancer in middle age and older men. It is the second most common cause of death in men with lung cancer being at the top of the list. A negative biopsy does not definitively rule out prostate cancer. The MDX helps men spare the need for unnecessary repeat biopsies. Men with enlarged prostate glands have symptoms of going to the bathroom frequently, dribbling after urination, and getting up at night to go to the bathroom. The problem is usually caused by a benign enlargement of the prostate gland, which blocks the flow of urine from the bladder to the outside of the body. The cause of the benign enlargement is not known but is probably related to alternations in the hormones, testosterone, of middle aged and older men. Treatment usually consists of medications, alpha blockers and medications to actually relax the muscles in the prostate gland but these are often ineffective especially if used for long period of time. The other options include minimally invasive procedures such as microwaves that can actually shrink the prostate gland. Now there’s a new treatment option that will soon be available. 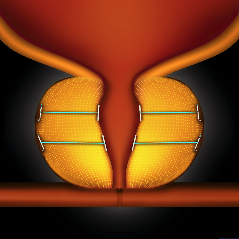 By pulling back prostate tissue that presses on the urethra, the system allows more natural urine flow. The procedure can be done in the doctor’s office under a local anesthesia and will actually open up the urethra to allow the flow of urine and reduce the urinary symptoms of frequency of urination, improve the force and caliber of the urine stream, and decrease the number of times a man needs to get up at night to empty his bladder. Of course with any procedure there may be side effects and complications. Some patients reported pain or burning during urination, increased urgency, decreased urine flow, incomplete bladder emptying, and blood in the urine. Most of these symptoms and side effects were temporary and resolved a few days or weeks after the Urolift was performed. Would you ever imagine that a common spice added to food could be helpful in preventing and perhaps treating prostate cancer? Allspice, a popular flavoring contains an antioxidant that decreases the growth of prostate cancer cells in experiments. Allspice a popular folk medicine remedy for a number of maladies, and it has the highest amount of antioxidants of any food we know. Allspice is produced from the dried, unripe berries of the Pimenta diocia tree, which grows in the Caribbean and Central America. Allspice contains an active ingredient, Ericifolin, which significantly slowed the growth of cancer cells. The study was conducted in mice with implanted prostate tumors. Tumor growth was inhibited in more than half of the mice. Also prostate specific antigen (PSA) was lowered in the mice treated with the Allspice. Since allspice is not toxic, men would be ideal candidates to take Ericifolin as a daily dietary supplement to prevent prostate cancer and in men with slow growing prostate cancer or in men who are not candidates for surgery or radiation therapy. Bottom Line: It may be too soon to tout the benefits of Allspice since there are few scientific studies on allspice, but the researchers were intrigued by what they learned. You are currently browsing the Dr. Neil Baum's Urology Blog blog archives for September, 2013.